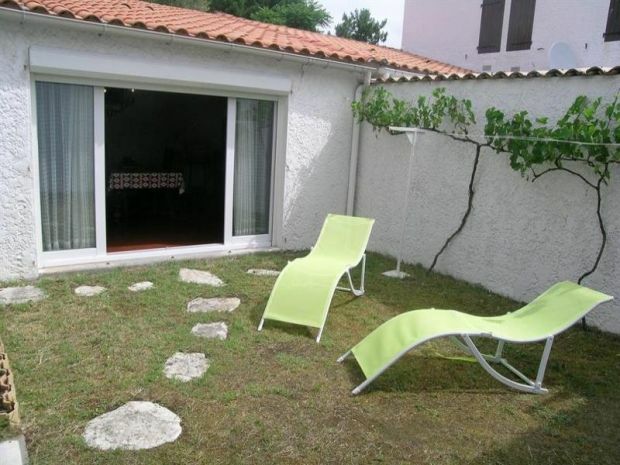 Located in the residence 'Les Trémières', this holiday villa is just 400m from the beach and 300m from shops. Entrance into a summer dining room. fitted kitchen with gas cooker, fridge-freezer, dishwasher and microwave. Living room with fireplace and TV. Upstairs: Shower room with washing machine. WC. Two double bedrooms each with double beds of 140 and wardrobes. Third bedroom with twin beds of 90 and wardrobe. Private patio area with garden furniture and BBQ. SOUTH FACING - ALLOCATED PARKING N°146 - SLEEPS 6. You are rather rando? There are many marked trails, small and large hiking. Above all, do not hesitate to think outside the box to enjoy breathtaking views of the ocean! And, to admire all the splendor of nature, do not miss to climb the 300 steps of the lighthouse of La Coubre. From the top of its 64m, a breathtaking panorama awaits you on the forest, the Côte Sauvage and the beautiful Bay of Bonne Anse ... The forest is also conducive to horseback riding over more than thirty kilometers signalized circuits. Equestrian clubs are at your disposal to make you discover in another way this exceptional natural environment. In short, La Palmyre is a collection of getaways and adventures in the heart of nature: a golf course, leisure parks ... a multitude of activities to fill up your sensations!